Among the ancient Germanic peoples there existed a highly developed stream of magical belief and practice devoted to, and stemming directly from, the dead. While it is difficult for the modern mind to understand these beliefs, it was simply an acknowledged matter of fact that a tremendous wellspring of virtuous power dwelt among the physical remains of the once living, be they man or beast, long after the spirit abandons flesh. In this book, the author has gathered together disparate elements of faith, folklore and a multitude of fascinating practices related to the dead. In examining ancient and modern materials among the Teutonic peoples of Europe, we begin to distill an understanding of the powerful significance reserved not only for the revenants of the departed, but their physical remains as well. 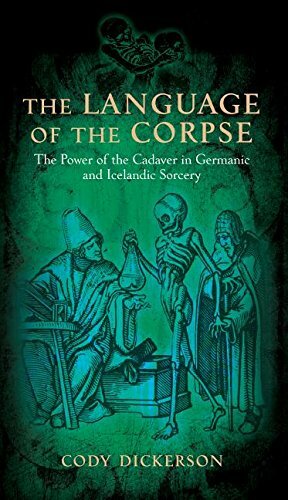 From the folk charming traditions of the British Isles to the extravagant ritual sacrifices held in medieval Uppsala, Sweden, the book provides the reader a glimpse into to the core strata of the power of the cadaver, and its subsequent role in the sorcerous practices witnessed amongst the European diaspora. If you have any questions about this product by Three Hands Press, contact us by completing and submitting the form below. If you are looking for a specif part number, please include it with your message.